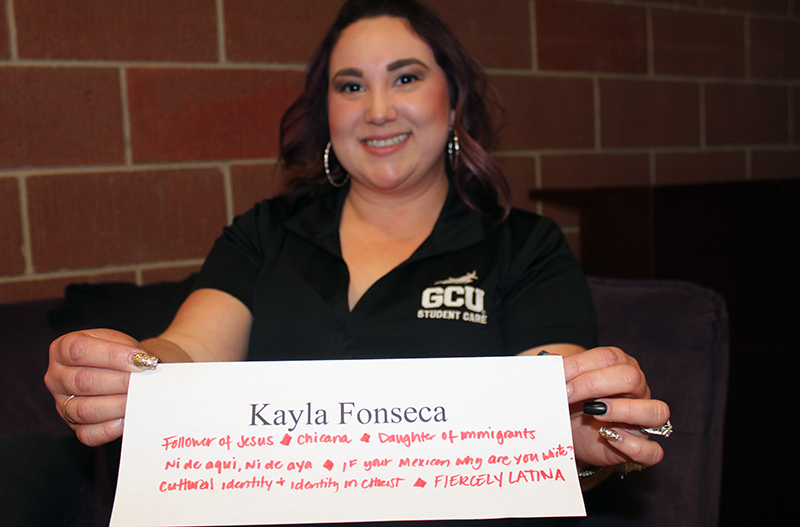 Kayla Fonseca, Administrative Assistant to the Dean of Students and Student Care, volunteered to share her story in order to break down barriers based on race and other aspects of her identity. Like books, people have stories, too. But not everyone tells their story, and we don’t always ask. 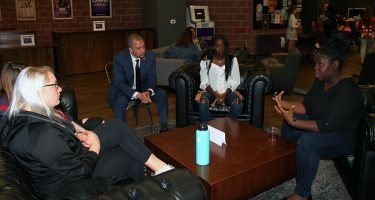 On Thursday, the “Human Library” project, spearheaded by the Associated Students of Grand Canyon University, provided a safe and positive space where students and staff could challenge stereotypes, share their stories and strengthen understanding among people with different stories and backgrounds. Student volunteers and staff were living books, available for checkout who would engage visitors around personal journeys. And the crowd turned out in large numbers. The Human Library experience allowed students to create a meaningful dialogue about diversity. Among the book titles included “Intelligence and Accents,” the story of how student Gabi Lee grew up in a family of Singaporeans and Taiwanese with an Australian accent; “I Don’t Find Value in my Jordans Anymore,” the story of Noah Wolfe’s identity crisis; and “World Traveler,“ an individual’s transformational experience while traveling to 36 countries. 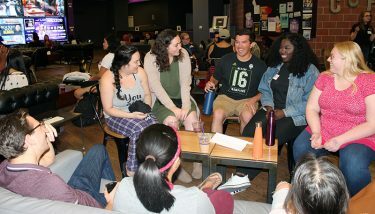 In choosing to participate in this event, Kayla Fonseca, Administrative Assistant to the Dean of Students and Student Care, said she wanted to promote awareness and inclusivity on campus. She talked about what being Mexican-American and the daughter of immigrants meant to her. “When we dismiss these topics we miss out on diverse humanity that God created,” Fonseca said. Luke Amargo, honors program manager, took over the spotlight to tell the story of family structure and values in his Filipino family. He blew visitors away with a special fact – he has 33 first cousins. They also talked about history, poverty and Filipino foods, including cheese ice cream and Pandesal – a popular dinner roll. The stories of at least eight “books” were offered. “It’s interesting because I grew up speaking English and Mandarin, and in the third grade I moved from California to Australia. At first, people there thought I was strange because of my American accent, so immediately I had to adapt and I got to form an Australian accent – which was great because I had to fit in. When I moved back to California years later I had an Australian accent, so again, I went through the same struggle of people thinking I was weird,” she said. Junior Megan Ryan spoke about the challenges she faced within her family when she converted to Christianity. She was raised Jewish. Wolfe, next year’s student body president, concurred. “We live in a world that doesn’t take the time to encourage or get to know the individual. Life is moving so fast and we don’t take the time to slow down,” he said. 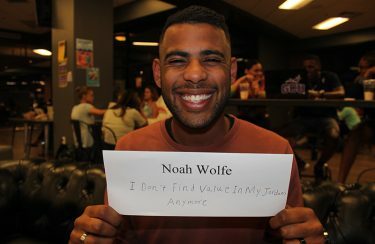 Wolfe shared his experience of adoption and spending a large portion of his life in two very different social classes. At least eight living books shared their stories to make diversity the center of their concern. “All of these speakers here tonight have had experiences that need to be spoken about,” Lee said. “The more we can have these open discussions, the easier society can get.